Pianist and composer Nicki Denner has worked with Sheila E., Savion Glover, Doc Severinsen, as well other jazz and Latin artists in the United States, Asia, Europe and Latin America. Ms. Denner has released three CDs under her own name. Her trio recording, Moliendo Café, was named one of the “Top Ten Picks of 2006” in Latin Beat Magazine. El Médico de Coquí spent six months in Latin Beat magazine’s Top 20 Hit Parade. Her debut solo piano recording, Daydream, was released in 2014 to critical acclaim. She has performed at the Kennedy Center, Lincoln Center, the Apollo Theatre, the United Nations and as a musical ambassador for the State Department in Central America. As a composer, she has written music for award-winning film as well as the New Jersey Tap Ensemble. Nicki Denner is a devoted educator having served on the faculty of the Stanford University Summer Jazz Workshop, Jazzhouse Kids, the New York City Tap Festival, the New Jersey Tap Festival, Campamento Internacional de Jazz in Guatemala, the JazzCabaret Festival in Ketchikan Alaska and is also a contributor to Keyboard Magazine. She is currently the Musical Director of the highly acclaimed group Cocomama whose debut CD, Quiero, was included in the 2016 Grammy pre-nominations for Best Tropical Latin album. Born in New York City in 1961, Anton Denner, saxophone/flute, began playing the saxophone in 1974. After early studies with Lee Konitz and Joe Lovano, he began to freelance in the New York area in the early ’80’s, performing at The Village Gate, Visiones, The 55 Bar, Birdland , and many other venues. Anton has also worked with or played alongside with many of the great musicians in jazz, such as Ray Charles, Rosemary Clooney, Clifford Jordan, Mel Lewis, Al Foster, Norman Simmons, Brad Meldau, Bill Carrothers, Larry Goldings, Terell Stafford, Dave Stryker, and Bill Stewart, to name only a few. Anton has also been a featured soloist at The Napa Valley Jazz Festival, the Istanbul Jazz Festival (with the NY Jazz Giants) and the LaVillete Festival in France (with the Bill Carrothers Trio). Recorded work includes the critically acclaimed Bill Carrothers Trio CD, Ghost Ships, Happy Apple’s, Blown Shockwaves & Crash Flow, and John McKenna’s Apparition, to name only a few. 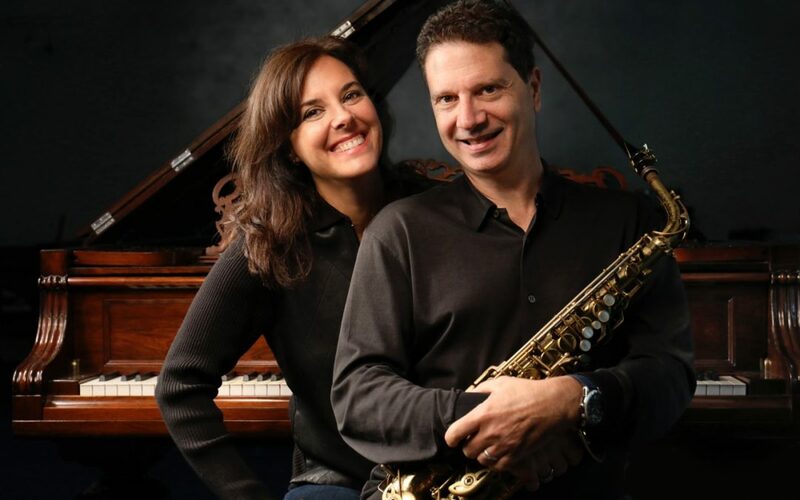 As an educator, he has served on the faculty of JazzHouse Kids, the Stanford Jazz Workshop, Temple University and has been an adjunct professor at Seton Hall University since 1999.